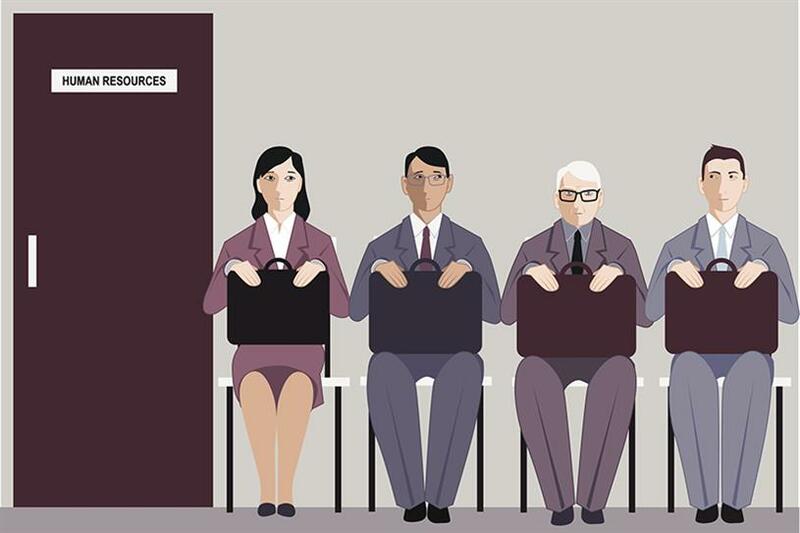 There is an ongoing perception that being young equates to digital prowess, but experienced candidates also know how to get a project across the finish line, writes the global chief experience officer at SapientRazorfish. The great Peanuts cartoonist Charles M. Schulz once said, "Just remember, when you're over the hill, you begin to pick up speed." Having worked in the digital marketing and technology industry for more than twenty years, I see an ongoing perception that being young not only equates to having digital prowess, but also equates to being fast and agile. And while young people may deeply understand and know how to use many of the current digital platforms or how to best leverage geo-filters on Snapchat, they may not always have the experience of fully understanding business demands, the evolving consumer journey, the client landscape, or the range of the transformation work that is required to become an "innately digital" organization. Thus, it's critical to leverage a diverse set of talent, a collective group that brings diverse perspectives, experiences, and capabilities and integrates them into the way we solve problems in a rapidly shifting transformation environment. And hiring for this well-rounded group needs to insure that we are making room for experienced candidates. Creativity, adaptability, innovative-thinking, agility, and superior technical expertise are the proverbial descriptors when hiring candidates in the digital space. As companies and the agencies they hire are increasingly putting higher demand on digital initiatives, the pressure is on for everyone to be at the forefront of digital business transformation. And that means they are putting a higher demand on the employees who undertake these projects. The stakes are high and if we simply hired "young" for these jobs, would they, solely, be able to handle the challenges and other requirements of a job that might include managing-up, managing a team, balancing digital disruption with the need for consensus building, communicating, and problem-solving? In fact, a recent study by the Educational Testing Service found that US millennials lag behind their global counterparts in a way that creates real on-the-job problems for them, their colleagues and teammates, and managers: they show a genuine lack of hard and soft skills including problem-solving and communications skills, skills that invariably come from workplace experience. Furthermore, the disruption that is caused by today's digitally connected consumer often causes internal conflicts in many organizations, and less-experienced team members can lack the critical skills and experience to successfully navigate the conflicts across an organization to get a project across the finish line. This is where experience and longevity can greatly maximize the success of any digitally driven initiative. Now, I'm not saying, "don't hire millennials." To the contrary, I'm saying mix them in with a truly diverse group, including older professionals who have greater hard and soft skills. Last year, when writing about diversity for Campaign, I stated that having a vast array of cultural experiences, ages, genders, religions, sexual orientations and lifestyles gives us the insights and the skills to evolve alongside the massive behavioral, technological and social shifts that we'll see in the coming decades. Since our client audiences are young, old, and everything in between, we should be hiring to reflect the wide age-range demographic of those people we are designing for. Young people, for example, aren't the only ones buying food, clothing and mobile devices. CNBC reported last year that millennials are pretty frugal, buying more but spending less on average than baby boomers or Gen Xers, according to a report from TD Bank. People ages 18 to 34 spend about a quarter less than both older generations. This means hiring professionals from the higher-spend demographic, who are 40 and over and who are still able to bring speed, efficiency, agility and creative and tech savvy—and then some—into the workplace. Recently, I read an article on Business Journals about why companies don't want to hire people over 40. The story countered, "one of the characteristics of a great leader is wisdom, and the best way to get wisdom is through experience. Normally that experience includes a few failures—that's where battle scars and limps come from." In my experience, nothing has taught me more than the failures I've experienced—because they gave me wisdom to understand what to do differently next time. Along with wisdom comes experience, which is why we have put a lot of effort behind our Career Return Program, and not being so quick in dismissing candidates over 40, who have endured a few of life's battle scars. The Career Return program aims to help onramp those who have pressed pause on their careers (to address life's needs), but whom are ready to get back to work. People take career breaks from the workforce for a variety of reasons, whether it's to start a family, care for a sick or elderly family member, travel, or sometimes, tackle an illness of their own. Sometimes these absences are brief, but often they can be extended, and when they are, re-entering the workforce can be a challenge, particularly for someone over 40. Hiring managers may see time away as an indication that someone is stale or that they may not have an up-to-date or relevant skillset. But why is what we learn in cubicles seen as more valuable than what we learn in life? We don't believe it is. We want to make an impact for those professionals who have left the workforce for an extended period of time and are facing barriers to re-entry in a system that largely evaluates a person's value as an employee strictly on continuous work-experience alone. That's how we met Rainy Orteca, who is a senior user experience designer in our New York office. Rainy's role as a UX designer allows her to be an advocate for frictionless user experiences often after evaluating every touchpoint within a brand's ecosystem. Her excitement for how brand identity can be strengthened and extended by technology has been infectious to her teams, where she serves as client-facing role for multiple leading retail, manufacturing and financial services companies. Rainy took to the digital ad scene with aplomb valiantly leading concept validation research and experience design artifacts such as personas, customer journey maps and service design blueprints. But Rainy also brings a depth of experience from her year's past as an Apple-certified technician, and years worth of life experience. Her balance of new and old experience, mixed with life experience, makes for a very unique team member. We made a smart choice in bringing Rainy on. As another example, last year we set out to find someone to revamp our company's Public Relations program. Clearly, we wanted to hire a person who understood our business, digital industry trends, and the innately digital audiences we were trying to reach. After meeting PR professionals that ran the spectrum we landed on a nearly 30-year veteran in PR. John Casey had a wide-ranging background that included interaction with stakeholders in nearly all of the vertical markets where our digital work was occurring. He passed onto us his wisdom and experience in retail, travel and hospitality, entertainment and fintech, among others. But what John brought to our PR program that other less-experienced PR professionals could not, is his many years of understanding the needs of journalists, and his solid relationships with them. John's deep industry background balanced with his knowledge of our digital world provides a great equilibrium of experience, current understanding, and context. For better or for worse, America's two choices last year for President were the oldest candidates in US election history. Shirley MacLaine is getting rave reviews for her starring role in the current film "The Last Word" at the age of 82. Jaromir Jagr has played in all 75 games so far this year for the NHL's Florida Panthers at the age of 44. Perhaps the digital industry can take a few cues from politics, Hollywood and the sports world and continue to leverage "over the hill" candidates who will undoubtedly help their agencies and businesses pick up speed. Because teams that mix older team members with digitally-native millennials (among other perspectives) can help leverage and manage the disruption caused by digital for maximum impact. —Donald Chesnut is the global chief experience officer at SapientRazorfish.